Can a pair of pumps get anymore perfect?! A birthday treat from my boyfriend and they are me all over, I know I will get so much wear out of them! 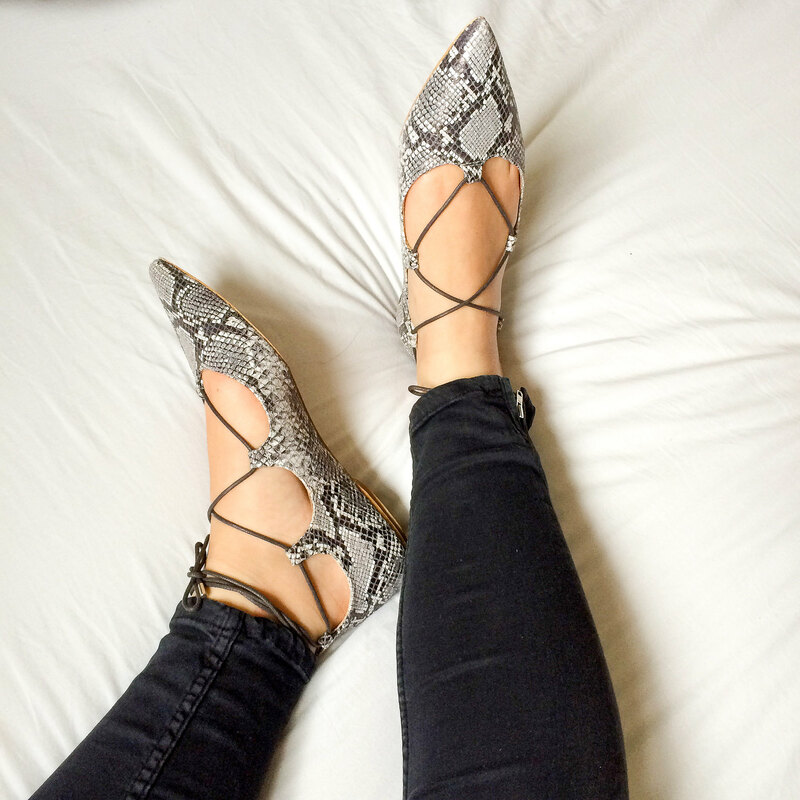 A very good dupe for the Aquazzura pumps that everyone has been converting after but a fraction of the price, and I must say they might not look it but these are soo comfortable! First wear, no socks and no blisters, that is a winner in my book! Teamed with my trusty pink leather jacket this is my go to look for the awful supposed summer we are having. Anyone else got a pair of Aquazzura look a like pumps this season? Omg your shoes are amazing! Animal print + lace up = heaven! What a cute outfit and I just love the shoes.